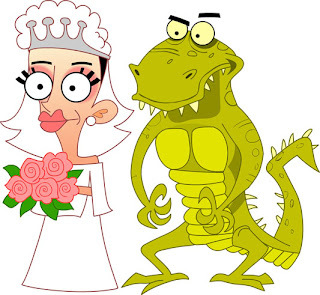 Here is a picture to show an unused design for a lizard wedding from Frankenstein's cat. This section was cut for time but we loved the lizard. All the designs were built in Flash using design drawings from Curtis Jobling. I will post more up soon. Shame we never got to see the finished wedding scene. It was thoroughly bonkers, admittedly, but a great episode! I would have loved to see the lizard animating!